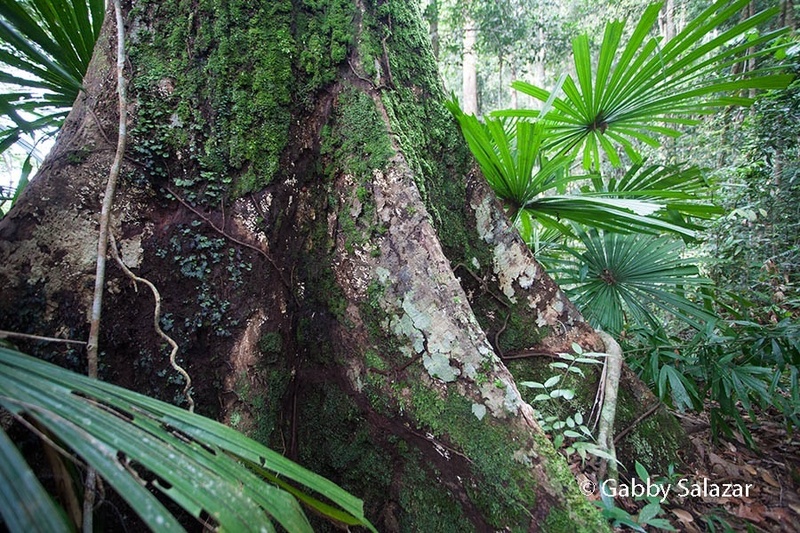 Febe records the location of a pitcher plant. Now that we are out of the woods (more on “the woods” later . . . ), it is worth mentioning a bit about the amazing people we spent time with in the forest over the past few weeks. The Gunung Bondang Expedition was run by the Heart of Borneo (HoB) Rainforest Foundation (www.heartofborneo.org), a small non-profit organization founded by Martin Holland (our expedition leader) and Tim Van Berkel (Scientific Director of HoB). HoB has organized a number of expeditions to remote locations in Indonesian Borneo, all with the goal of raising awareness of and support for rainforest conservation in Borneo. They have done a great job with outreach – using satellite communication and media to engage kids all over the United Kingdom in rainforest exploration. For this expedition, HoB supported five young Indonesian researchers by giving them the opportunity to conduct their own research projects on the mountain. They ranged in age from 22 to 26 and were all wonderful company. Each of them focused on a different aspect of the mountain’s biodiversity with the combined goal of creating a baseline survey of this remote mountain. I learned an enormous amount from each of them – both about their particular research questions and about Indonesian culture and language. We also formed strong friendships, having faced the challenges of camp life together for almost a month. The team with some of the local villagers. – Maria Febe was our fearless botanist. She studied the vegetation at different elevations on the mountain and braved steep slopes to get good data. I believe she completed around 20 vegetation plots – identifying, counting, and measuring trees and saplings in 20 x 20 meter plots. 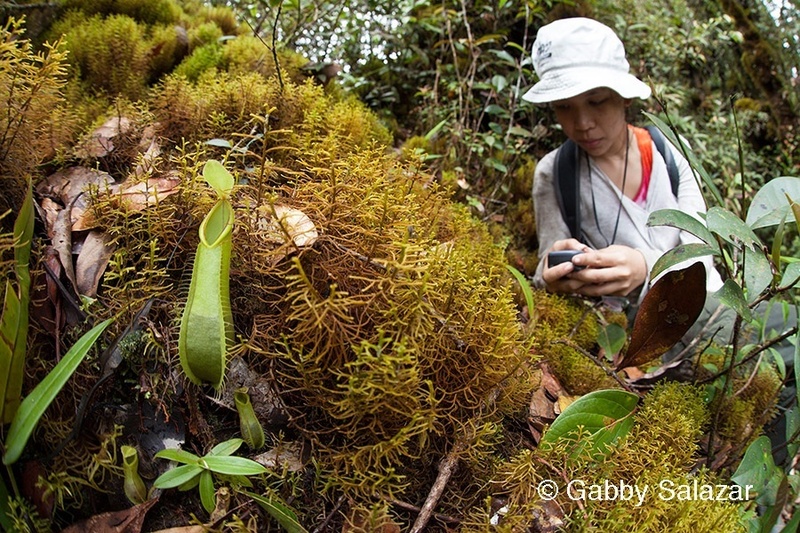 She also surveyed orchids and pitcher plants and often gave me GPS points for neat orchids she found during her surveys. 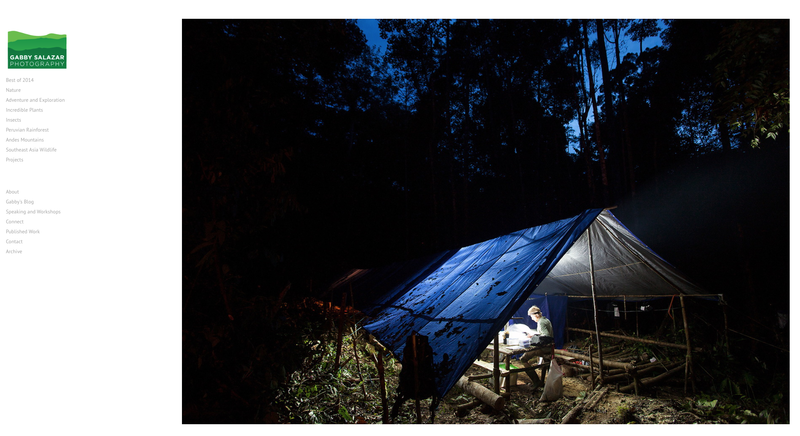 – Tika, a primate specialist, studied mammal diversity by conducting forest transects by both day and night. She was tireless and would walk for hours, bushwhacking through the forest to look for monkeys, cats, and other creatures. She often found only the traces of animals – porcupine quills stuck in a tree or the footprints of wild pigs. The lack of good sightings never seemed to dampen her enthusiasm. – Nanan and Ria focused on dragonfly and butterfly diversity. They were constantly sewing up their nets, which got torn up in the spiny vegetation. – Munir worked on frog diversity and conducted nightly surveys regardless of the weather. We are still waiting on the results . . . but he may have even found a new species to science! Beyond the Indonesian researchers, Tim assisted the research team and served as comic relief throughout the trip (his gibbon calls are pretty epic). He also helped place camera traps around the mountain and some of the results they got are really interesting (more later!). Ririn and Koto managed the camp and did a really amazing job – they made sure we had enough to eat, kept the guides on track, and inventoried gear. And, of course, Martin, our leader, was wonderful. Unfortunately, he had to spend most of his time in the city dealing with police, permit offices, and government officials, but the little time he spent at camp was great. 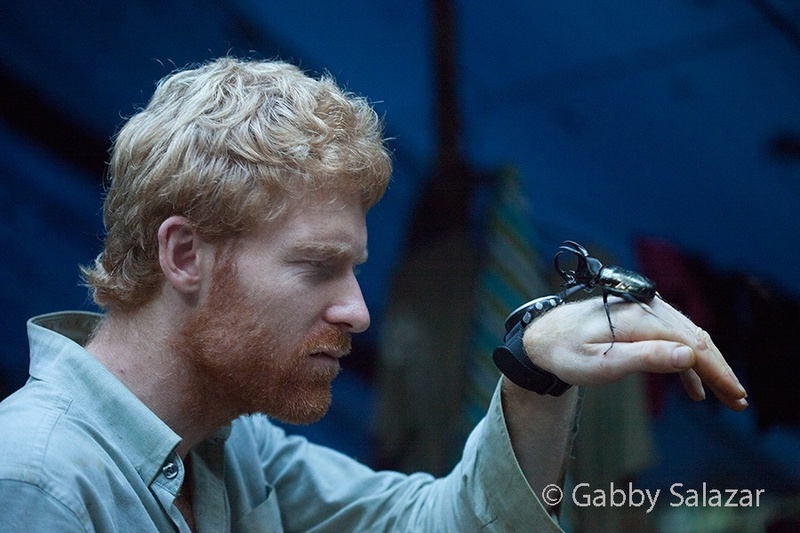 Tim stares down a rhinoceros beetle. On the night before we left for the jungle, we stayed overnight in an office in the closest city. Tika came over to talk to me and we both shared stories about our families and our homes. On that night, just a day after we met, she asked if she could call me Kata Gabby, which I later found out means “Sister.” I am still touched by that moment and by the friendships we all made in the days that followed. 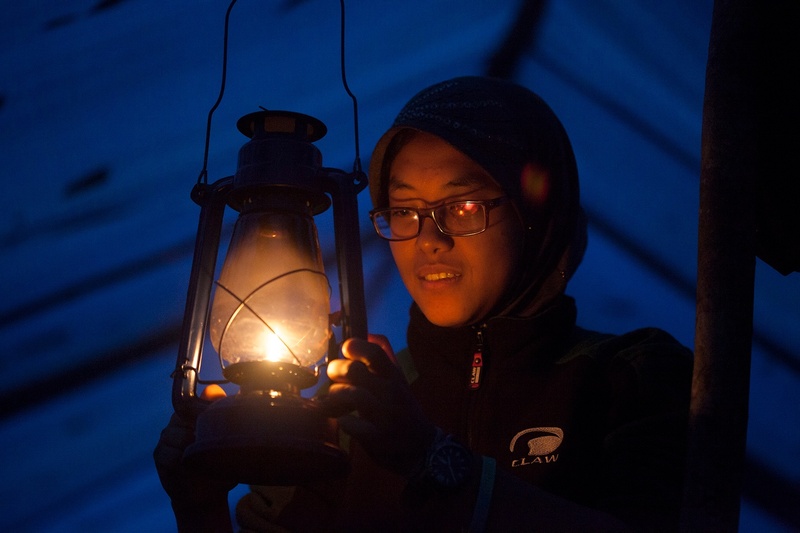 Ririn lights a lantern in camp. A photo of the lovely forest near our camp.